Will Twitter decide it's finally time to sell? Maybe Howie Mandel should become the new spokesperson for Twitter? Because all Wall Street cares about right now is whether there will be a deal or no deal for the social media platform. 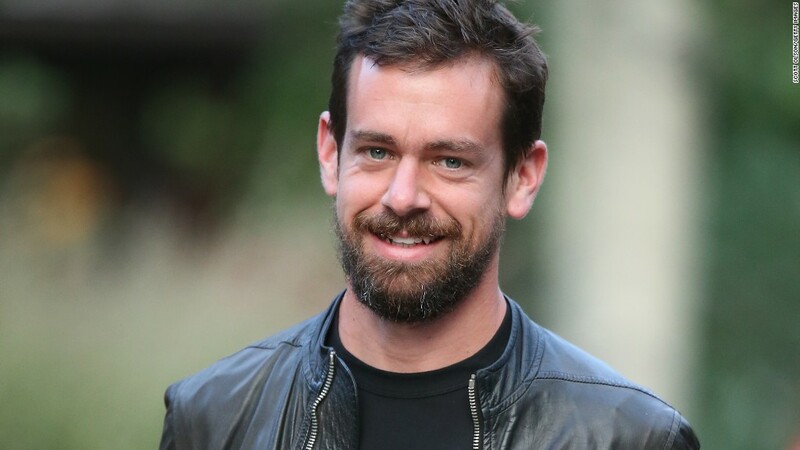 Twitter's board is meeting Thursday and it has been widely reported that one of the topics CEO Jack Dorsey and his colleagues will be debating is whether Twitter should remain independent or look to sell itself. Shares of Twitter (TWTR) have rallied in recent months after hitting an all-time low in May. That's largely due to takeover talk. Microsoft's purchase of social media networking site LinkedIn (LNKD) in June helped kick off a new round of merger speculation. Google owner Alphabet (GOOGL) is mentioned most often as a potential suitor, probably because Twitter's executive chairman Omid Kordestani used to work for Google. Apple (AAPL) has been occasionally named as a possible acquirer too. More recently, media companies News Corp. (NWSA) and 21st Century Fox (FOXA) (both controlled by Rupert Murdoch) as well as NBC owner Comcast (CMCSA) have been mentioned in speculative Twitter takeover stories. Related: Can Donald Trump save Twitter? There has also been chatter that Saudi Prince Alwaleed bin Talal and former Microsoft (MSFT) CEO Steve Ballmer -- who are two of Twitter's largest shareholders -- could team up to take the company private. Twitter was not immediately available for comment about the takeover talk and the topics of discussion at the board meeting. Despite all the gossip -- and the short-term pops that they create in the stock -- shares of Twitter are still down more than 15% this year and nearly 75% below the all-time high they hit not long after the company's initial public offering in November 2013. The stock fell 5% on Thursday too. There is a sense among some on Wall Street that Twitter may never become a major social media destination along the lines of Facebook (FB) or Snapchat. Twitter has, over the past few months, struck more live streaming and content deals with major sports leagues. Twitter is also the go-to place for instant reactions to breaking news, political speeches, award shows and the like. I've often referred to it as a news wire on steroids. But this hasn't helped Twitter attract a significant increase in users. Yes, Dorsey may wind up getting more time to try and turn things around. But Wall Street's patience may be wearing thin. There is some frustration about the fact that Dorsey is also CEO of mobile payments firm Square (SQ). Wouldn't Twitter be better off with a CEO who could devote his or her entire efforts to righting Twitter? It's also worth noting that Twitter co-founder and board member Ev Williams, who now runs the hot blogging platform Medium, told Bloomberg last month that Twitter would "have to consider the right options" if a takeover offer was made. Of course, Williams would be crazy if he didn't say that. Any company could be theoretically bought for the right price. A corporate board is obligated to try and increase shareholder value. But now that there have been so many rumors about Twitter being taken over, it's hard to ignore them. What's that they say about where there's smoke there's fire? There seems to be a distinct smell of burning blue bird wings in the air these days.